CARTHAGE, Mo. 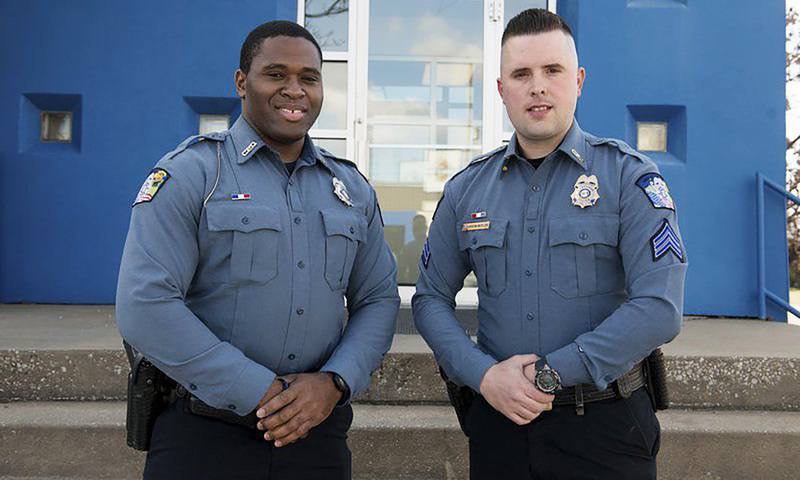 — It only took one month for the Carthage Police Department to get use out of its newly acquired tourniquets, which earned two officers the department’s first-ever Life Saving Awards. It was about 10 a.m. on an early January day when Sgt. Justin Butler and Officer Marcus Wicks were called to respond to an incident involving a gunshot. When they arrived on scene, they found a man with a self-inflicted gunshot wound in the upper thigh. It was later determined that the tourniquet application is what saved the man’s life. Butler and Wicks were fortunate to have the tourniquets at their disposal, as they were just purchased for the department in December. Police Chief Greg Dagnan said the tourniquets were paid for with an annual donation to the department and are typically thought of as tools for officers to use on themselves or other officers in combat situations. Wicks and Butler are the first two officers to receive the Life Saving Award, a new commendation for which Dagnan said the department is still developing an official policy. The officers were presented the awards at a city council meeting two weeks ago. “There are some specific criteria for the award we need to work through, but we didn’t want to pass up the opportunity to recognize these officers,” Dagnan said. Butler, 32, is a 14-year veteran of the department who started as an animal control officer. A Carthage native, he decided to pursue a career in law enforcement after volunteering with Katrina recovery efforts in 2005. Wicks, 27, grew up in Kansas City and attended Missouri Southern State University, where he earned his criminal justice degree. He joined the Carthage Police Department about a year and a half ago, his first job on a police force. Wicks and Butler now don a red, white and blue pin above their right breast pocket to signify the recognition.